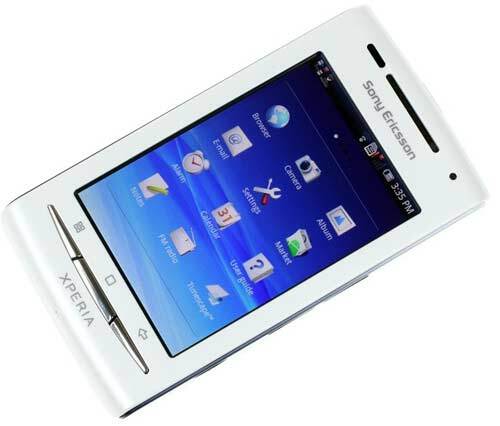 XPERIA X8 is one the 1st Android running phones having many great features. When it was released it runs Android 1.6 donut. Then by time Android 2.1 Éclair was released for XPERIA X8. But Sony Ericsson didn’t release any further modern Android version for XPERIA X8. So in this tutorial i will show you how to install Android 2.2 Froyo on your Sony Ericsson XPERIA X8. Upgrading Sony Ericsson XPERIA X8 firmware to Android 2.2 consisting 3 parts. At first you have to root your device, then backup your phone and at last install froyo on X8. By rooting your phone, device warranty is also lost. At first download Sony XPERIA driver from here. If you are aware about some settings then you will have to enable the debugging mode on your Mobile Settings>Applications>Development>USB Debugging. Now you need to download the latest version of SuperOneClick.zip for windows. Extract the file and place it to the root of your phone directory. Plug your phone in to your PC and turn on USB debugging. Be careful not to mount SD card. Open the folder with the SuperOneClick contents and double click “SuperOneClick.exe”. Run the program and click on Root and wait for some time. Switch off you phone for a while. Ones you switch it on press the BACK button multiple times so that a screen will popup. In the same menu select BACKUP and RESTORE option. This will actually create a backup of your phone on the SD card. Copy all the files on the local drive of your computer. Create a folder on your desktop with any name. Let us consider its xproot. Now download the Android 2.2 Froyo Custom ROM and extract that in the folder you have just created. Connect your XPERIA X8 to the computer using USB. Select “Open Folder to view files” in the Autoplay box and then click on OK.
Now Go To backup folder present inside the xRecovery 0.1 folder (xrecovery – > backup). Copy the “Android Froyo Custom ROM’s to the backup folder from the xproot. Ones it is done disconnect your phone from the PC and power it off for a while. Now similarly switch on your phone and keep pressing the BACK button continuously which will take you to the xrecovery menu. If you want to backup your phone then follow the above instructions. “Android Froyo Custom ROM” file. Select the 2nd option that is Android Froyo Custom ROM. Ones you select it, Android 2.2 froyo will start getting installed on you XPERIA X8. Be patient have a smoke or a cup of coffee and come back. Till the time you are back you will have it installed in your mobile. From the menu select Reboot option. Ones your phone is started you will see Android 2.2 on it. Enjoy your reborn Sony Ericsson XPERIA X8.